GENEVA: North Korea on Tuesday rejected allegations by the top UN human rights official that serious and widespread violations persisted in the country despite its diplomatic opening. 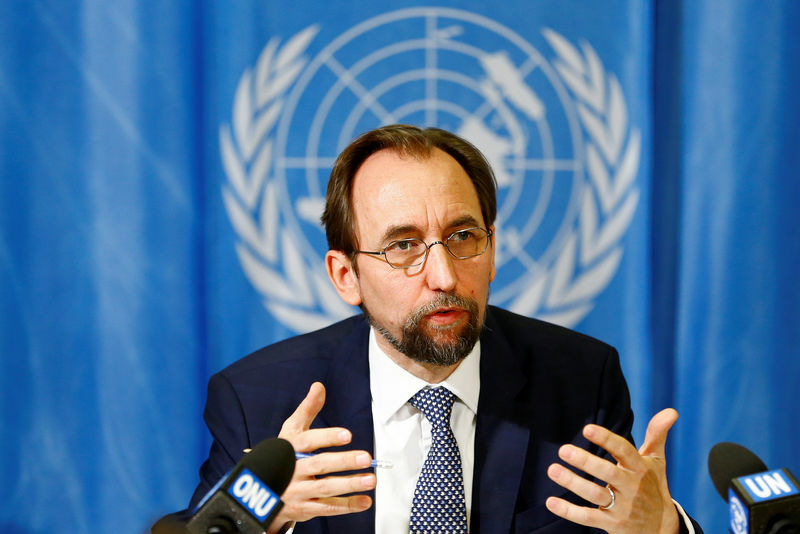 Zeid Ra’ad al-Hussein, UN High Commissioner for Human Rights, said in a wide-ranging speech on Monday that remote monitoring by his office found “little change in the country’s longstanding, grave and systematic violations of human rights”. “The people of the DPRK risk their lives and their dignity for the exercise of their fundamental human rights, including seeking to leave the country and communicating with individuals abroad,” Zeid told the UN Human Rights Council. He called on the Democratic People’s Republic of Korea (DPRK) to step up engagement with his office and especially with the UN human rights investigator on the country, whose mandate Pyongyang has never recognised. “The experience of my office has repeatedly demonstrated that making human rights part of peace talks contributes to meaningful and sustainable peace in the long-term,” Zeid added. In a landmark 2014 report, UN investigators said that 80,000 to 120,000 people were thought to be held in camps. It documented torture and other violations, saying they could amount to crimes against humanity. Choe Myong Nam, DPRK deputy permanent representative in Geneva, told the Council on Tuesday that Zeid’s remarks were based on “unconfirmed information fabricated and spread by forces hostile to DPRK”. North Korea remained committed to promoting dialogue while “strongly rejecting the politicisation, selectivity and double standards as well as groundless allegations and prejudices”, Choe said, denouncing “highly politicized anti-DPRK resolutions”. Tomas Ojea Quintana, the UN rights investigator for DPRK, has called repeatedly for the United States and other powers to put human rights firmly on the agenda of their talks, saying it would make any progress towards denuclearization “sustainable”. Ojea Quintana, in an email reply to Reuters last Friday, days after the Singapore summit between US President Donald Trump and North Korean leader Kim Jong Un, voiced dismay that human rights issues had not figured more prominently or in their joint communique. Apart from Trump saying that he had raised the return of soldiers’remains and the fate of Japanese abductees, there was no sign that the need for North Korea to improve its rights record would become part of the negotiations, he said. Even more worrying were Trump’s remarks that he was inclined to “not focus on the past, but only on the future”, he added.